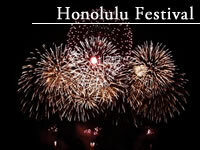 The Kona Coffee Cultural Festival, Hawaii’s oldest food festival is happy to participate in the Honolulu Festival. Tehran Slade, Miss Aloha Hawaii 2018 and Tatiana Macomber, Miss Kona Coffee 2018 look forward to saying “Aloha”. Raised in Waipi`o Valley on Hawaii Island, Pōlani is a 20 year old student at the University of Hawaii at Hilo, where she is majoring in Anthropology and Performing Arts. She will be competing for the title of Miss Hawai`i in June. Kirstie is 21 years old and originally from Mililani O`ahu. She currently attends the University of Hawaii at Hilo where she is majoring in Communications and Kinesiology. She will also be competing for the title of Miss Hawaii in June. 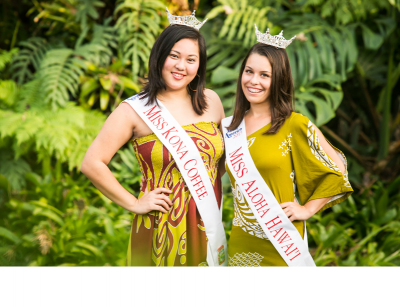 The Kona Coffee Cultural Festival presents Miss Kona Coffee 2015 & Miss Aloha Hawaii 2015. Kona Coffee Cultural Festival celebrates its 44th year this year. The longest running Food Festival in the State & Hawaii. The Kona Coffee Cultural Festival is proud to present, Miss Kona Coffee 2014 Jeanne Kapela. She will spend her year of service promoting Kona Coffee both locally and internationally. The Kona Coffee Cultural Festival is proud to present, Miss Kona Coffee 2013 Guinevere Davenport. Guin is 17 years old and currently a senior at Kealakehe High School. She will spend her year of service promoting Kona Coffee both locally and internationally. The Ueshima Coffee (UCC Hawaii) Corp. 40th annual Miss Kona Coffee Scholarship Pageant crowned Kona’s own Lacy Deniz as Miss Kona Coffee 2011. Lacy is a 2009 graduate of the Kamehameha Schools-Kapalama Campus and currently attends Hawaii Community College. Lacy hopes to obtain her doctorate degree in psychology. Immersed in Hawaiian culture, Lacy speaks fluent Olelo Hawaii (Hawaiian language). Miss Kona Coffee 2010 is 19 years old, and is a 2008 graduate of the Kamehameha Schools – Hawaii Campus. She is from Hilo Hawaii and is currently attending Hawaii Community College and hopes to obtain a degree in Administration of Justice. A representative of the Kona Coffee Cultural Festival, she will spend her year of service promoting Kona Coffee both locally and internationally. She will go on a promotional trip to Japan courtesy of corporate sponsor UCC Ueshima Coffee Company. She will also be competing in the Miss Hawaii Pageant on June 15, 2010.